If you’ve heard me rambling on about TOWIB and have no clue what I’m on about, it’s a blogger event that is held quarterly. I had never been to one before but went to my first yesterday. 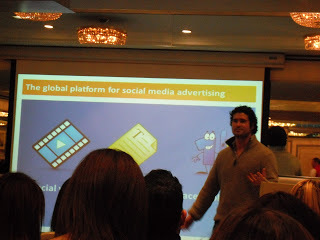 It was held in central London in a lovely hotel near to Russel Square. Gabriella and myself met at Euston station and got the tube to Tottenham Court Road where we then walked to the hotel. We were greeted by organisers of the event who took our names. 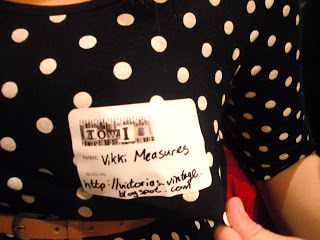 The girl that took my name reads my blog and I felt a big blog-famous! But in the excitment of it all I didn’t ask what her blog was 🙁 Boo hoo. If you read this say hi! Anyway we were given stickers to put our names and url’s on. Me being an idiot put my full name and full url on it… http:// and everything! haha so no one could really read my badge! We then went into the room which was full of lots of lovely looking young ladies chatting away. The room had two columns of chairs for us to sit on, we chose our seats in the middle of the room and got chatting to those around us. 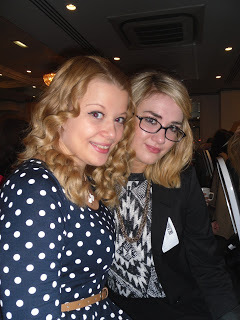 It was really lovely to meet so many dedicated and friendly bloggers, all under one roof! The first part of the day was to socialise and have a little bonding session where we all wondered around the room finding out who people were and what blog they were from. 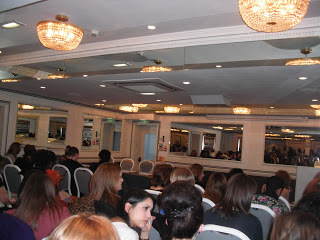 I recognised a few faces and met lots of new lovely bloggers. 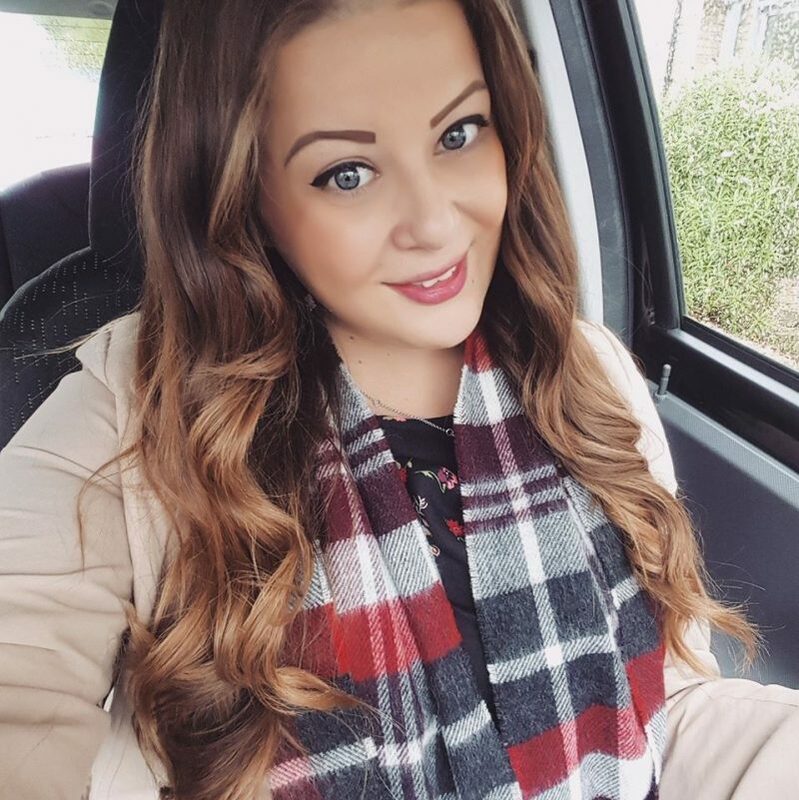 It was great to be able to put a face to a blog! 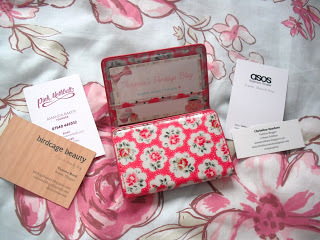 I handed out a few of my blog business cards too! 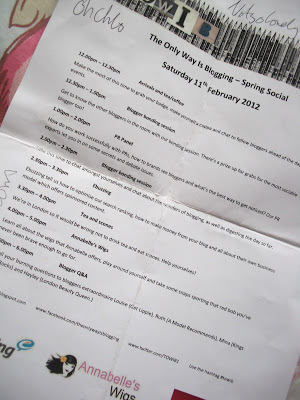 We were handed a schedule which outlined the days activities. After we had our bonding session there was a panel of PR’s answering questions and giving advice on how to work with PRs and brands, and what bloggers are worth. This was an interesting session which gave us lots of information which was helpful, especially for newer bloggers. Next, we had a rather long and drawn out presentation by ebuzzing. I have worked with them twice before for sponsored posts, so I more or less knew how they worked and what they were on about, but it was still a bit complicated. I can imagine that those who hadn’t heard of them must have been a bit lost and overwhelmed. 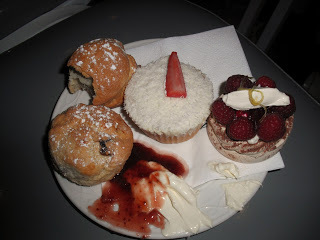 During this presentation my tummy was rumbling.. so I was glad when it was finally time for scones! 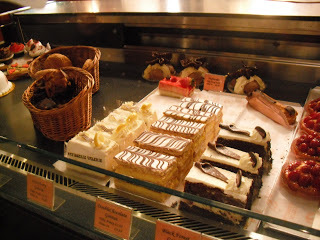 Mmm yummy.. with cream and strawberry jam! After this there was a fun little session with some of the girls from Annabelle’s Wigs where some girls got to try on some hair pieces, and then it was my favourite bit, the Blogger Q&A session with Louise from Get Lippie, Mina from Kings Cross Rocks, and Hayley from London Beauty Queen. This was a fun, cosy little session as more than half of the bloggers had left so it felt more close-knit. Lots of good questions were asked and it was a lot of fun. Louise was hilarious and they all had some fabulous advice. Overall I had a great day and it was great to meet so many new faces. Yes we were hungry, but we only paid £5 for the central London, posh hotel event, where they provided tea, scones and cakes. What were some people expecting for a fiver? Some of the PR panel expressed their own personal opinions, that doesn’t mean you can attack the whole event and the organisers of it who may have had different opinions! Yes the ebuzzing presentation was a tad heavy and boring, but Hayley, the organiser, did try to steer him in the right direction so make it more engaging for us. She wasn’t trying to be rude! Hayley and the other helpers tried very hard to make it a nice friendly event, some people have been very rude online, and some even at the event itself. If it wasn’t you thing, fair enough, but whinging isn’t going to put you in a good light for being invited to any events in future. 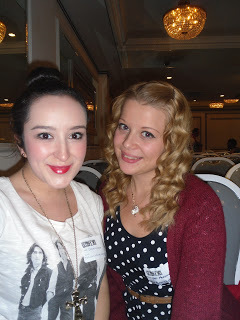 I will be glad if next time these ‘bloggers’ don’t attend the event so it can be more about blogging and networking. 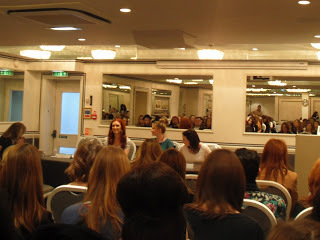 And if you didn’t stay until the end then you missed out because it was a fab Q&A session, and the panel were all brilliant! The above two photos were taken by HauteFuture. Top – Myself and Yoyo and Bel. Bottom – Gabriella and me. Did you go to TOWIB? What did you think of it? Will you go next time? I was so lost in the ebuzzing talk even though I've worked in PR and know about that stuff. It was such a dry presentation! 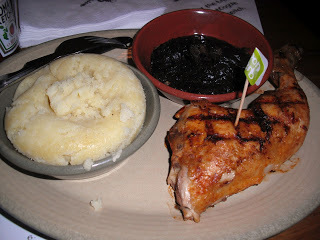 Jealous of your Nandos. I had drinks with Annabellas wigs, Karla and Mina and paid £14 for a gin and tonic! We nearly fell off our chairs when the bill came. Well it looks like u had a great time! It was so great to meet you! I've been reading your blog all day! Oh this looks great! I really wish I'd gone now but was a bit shy to go on my own without knowing anyone. 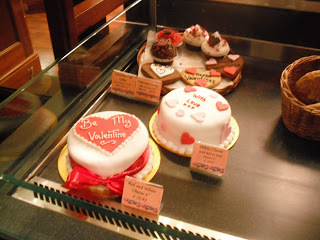 The Q&A and talk with PRs sound really useful, and those cakes look delicious!